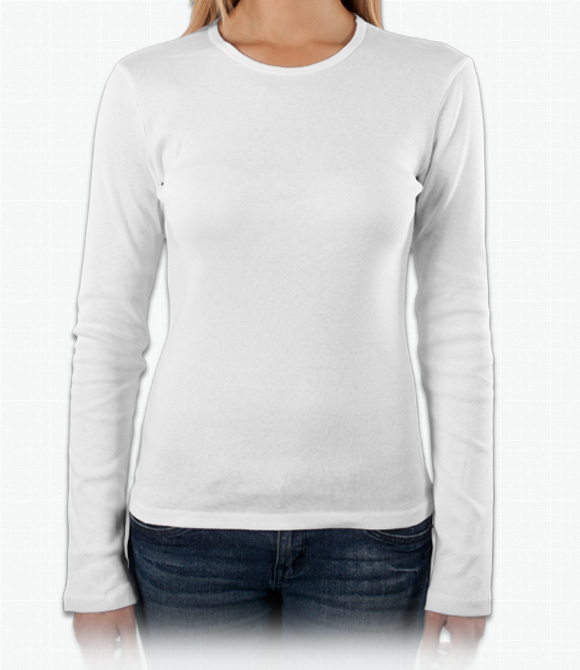 Custom Ladies Long Sleeve Shirts - Design Ladies Long Sleeve Shirts - Free Shipping! 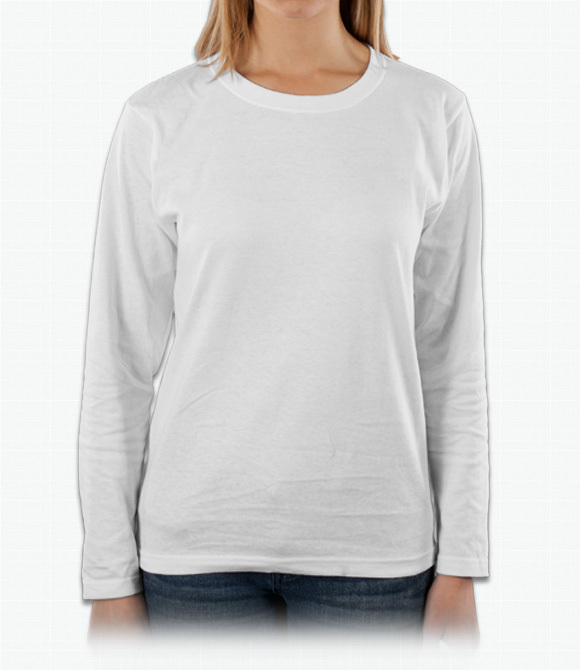 Our ladies long sleeve shirts are a warmer option for women's t-shirts. The Anvil and Gildan loose fit shirts are perfect for layering on top of tank tops and short sleeved tees. 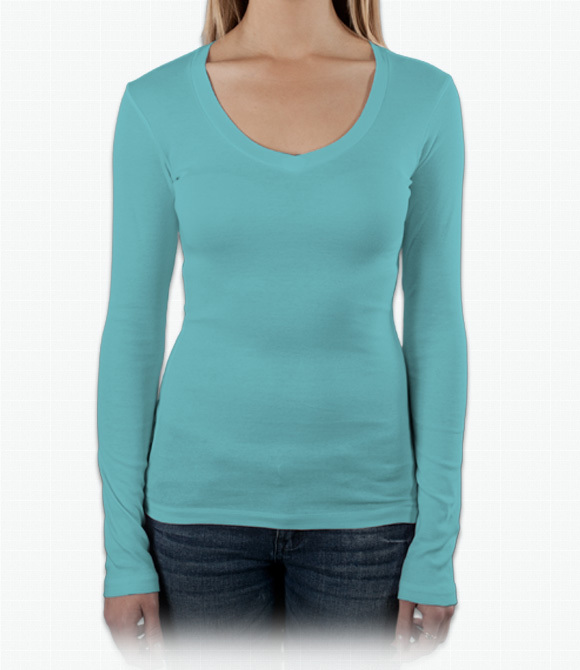 The Bella snug fit shirt provides a youthful, fashionable look without compromising warmth and comfort. 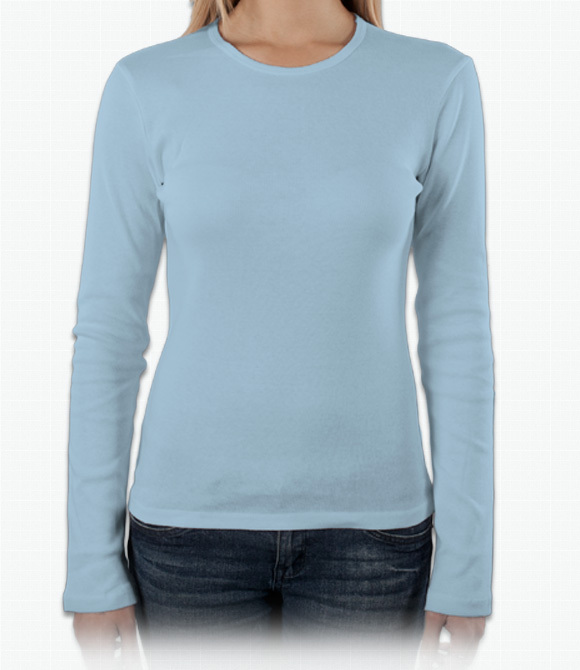 Our long sleeved shirts are made with 100% preshrunk cotton. Still feeling a chill? Then continue layering with our custom hoodies and sweatshirts.